The system performs omega - 2 theta scans, non coplanar grazing incidence diffraction and X-ray reflectivity. 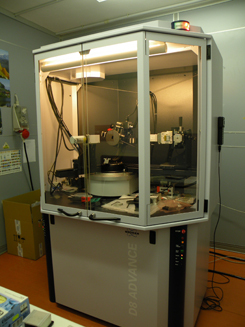 The instrument has a special attachment for measurements at temperatures up to 1050 °C. The system can perform both static and dynamic contact angle measurements to determine the wettability of surfaces, films and coatings. 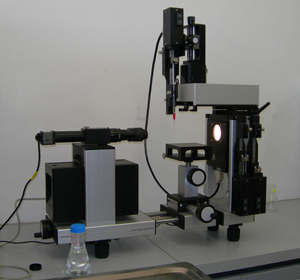 This instrument allows measuring the size of particulates dispersed in solution in a range from 1 nm to 6 µm. The allowed concentration ranges from ppm up to 40% in solids. 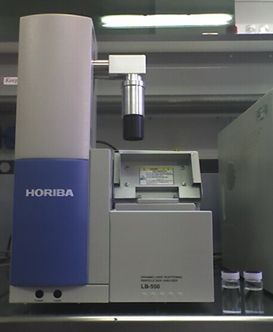 By connecting the internal viscometer, both temperature-viscosity measurement and particle size evaluation can be simultaneously performed. 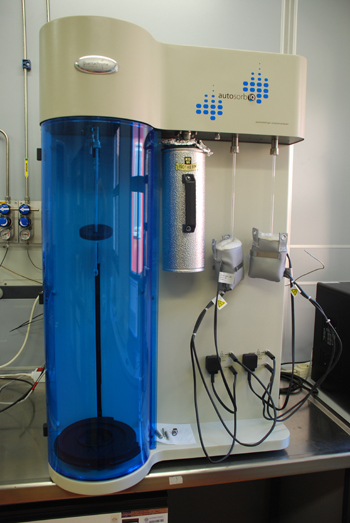 The systems is designed for porous materials and powders characterization. By means of gas physisorption the instrument performs surface area analysis and pore size measurements. 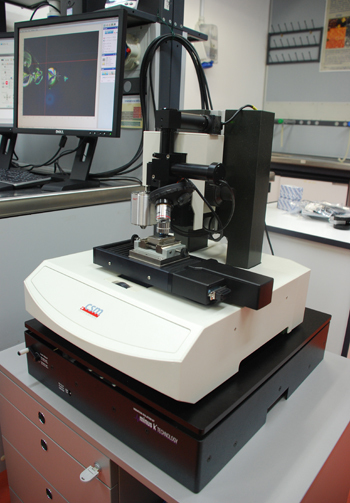 This instrument allows for mechanical characterization by indenting to depths at the nanometer-micron scales. Characterizations can be performed on organic, inorganic, soft or hard materials and coatings, including metals, semiconductors, glasses, ceramics, composites. 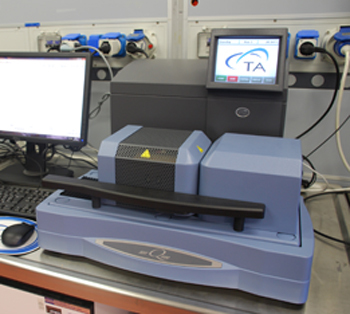 The instrument provides simultaneous measurement of weight change (TGA) and true differential heat flow (DSC) on the same sample from ambient temperature to 1500 °C.